Into the Fold: Contemporary Japanese Ceramics from the Horvitz Collection highlights the diversity, creativity, and technical virtuosity of 20th- and 21st-century ceramic artists working in Japan. The exhibition features both artists whose work is inspired by traditional themes and those who work in (or are influenced by aspects of) the avant-garde. Tensions between form and functionality, traditional and modern, national and international are often evident across works in the exhibition and within individual works. Grouping of objects suggest particular elements associated with the medium's development, including tea vessels, biomorphic forms, geometric design, monumental and sculptural art, and works that exemplify the Mingei and Sōdesiha movements. More than 30 artists are represented, including many of Japan's greatest living ceramists. Among them are historical master potter pioneers such as Hamada Shōji, Kitaōji Rosanjin, Yamada Hikaru, and Yagi Kazuo and contemporary leaders such as Nakaigawa Yuki, Katsumata Chieko, Hoshino Kayoko, and Akiyama Yō. Into the Fold will be on view in the David A. Cofrin Asian ARt Wing from October 7, 2014 until September 18, 2016. Organized by the Harn Museum of Art, the exhibition draws exclusively from the Carol and Jeffrey Horvitz Collection. Guest Japanese art curator tomoko Nagakura joined us to create the installation and gallery guide accompanying the exhibition. This catalogue features an overview of the history and development of Japanese contemporary ceramics and its development as it relates to the exhibition checklist by Tomoko Nagakura, which was also produced as a gallery guide. Artist biographies are included alongside images of the art-work in the exhibition. Aritsts are arranged alphabetically by family name, with the family name appearing first and in capitals, following the Japanese convention. 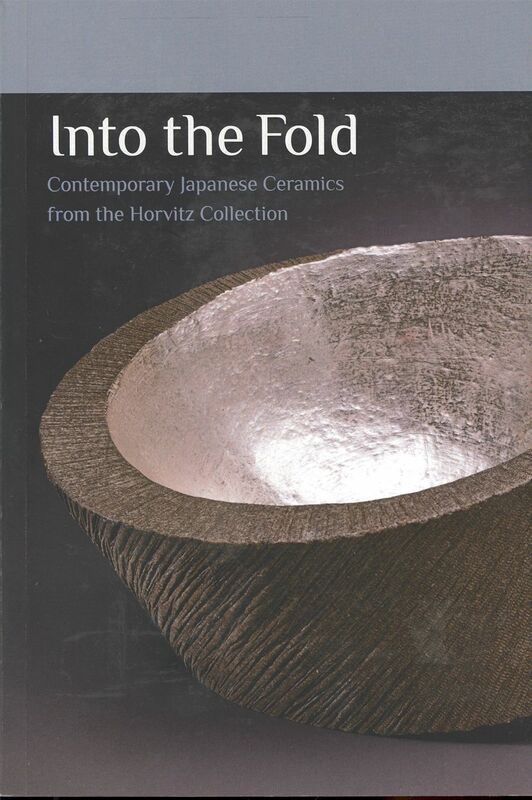 Into the Fold: Contemporary Japanese Ceramics from the Horvitz Colletion was generously supported by the Jeffrey Horvitz Foundation.